What a rude, obnoxious person. 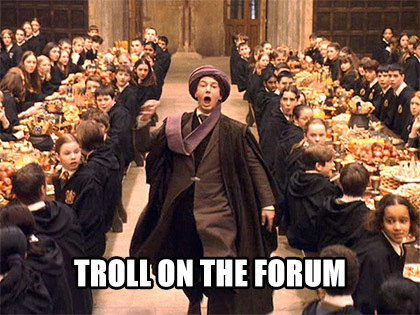 You are most certainly not what our forum is all about - had you taken time to delve into how things are here then you may have chosen not to join as it doesn’t meet your requirements. I am baffled as to why you did join really . . .
well I've done my time in the kitchen at parties, now unsubcribing from this here trolling session. I like the forum layout, it allows you to get some very specific information rather than wading through generic threads. Like others, my daily consumption is through new posts or subscribing to specific sections/threads. He's giving us a roasting. New Posts is my 'go to' always. My only criticism is the search function which isn't very friendly. Otherwise, the organisation of forums and sub-forums makes perfect sense.